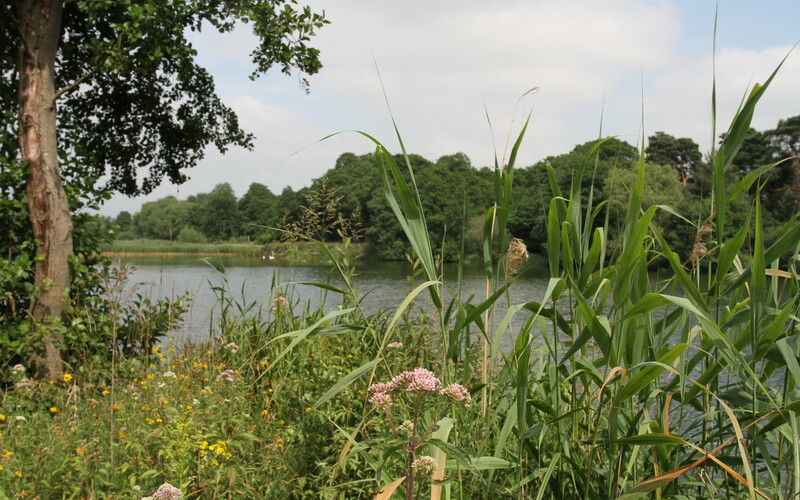 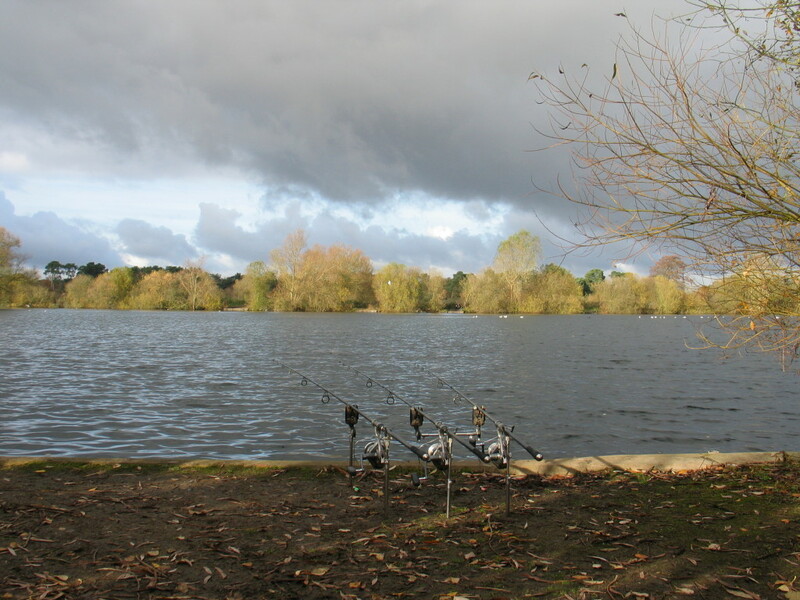 The lake is around 8 acres in size, is literally full of features, and with it sometimes being heavily weeded in the summer months, can present a real challenge to catch from consistently. 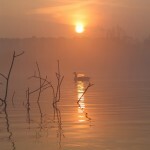 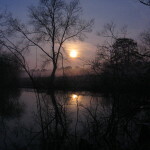 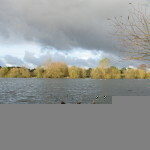 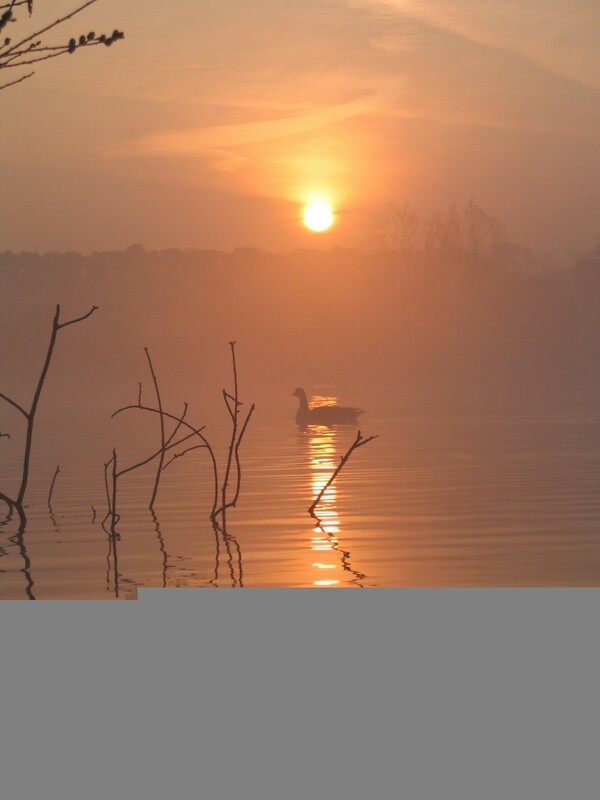 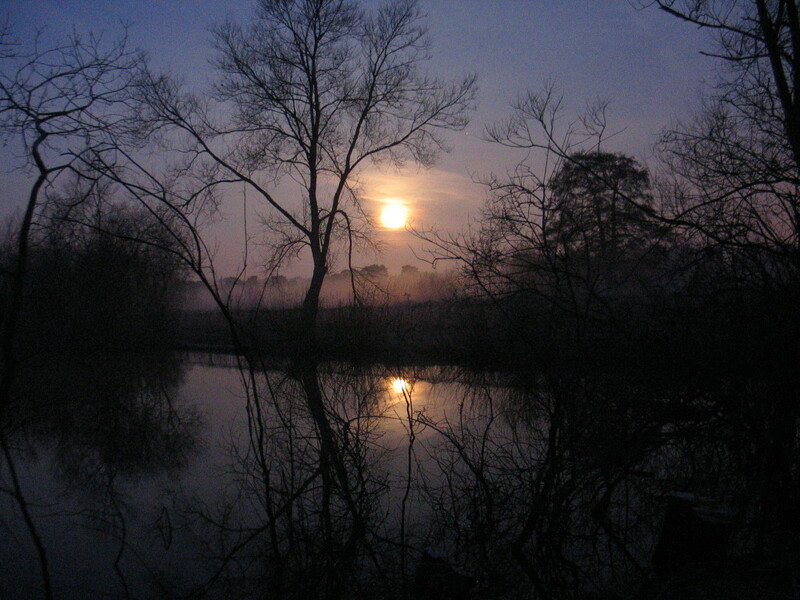 However, the awesome stock of big carp present in this water make it a much sought after permit for any angler serious about fishing for big carp in the Norfolk area. 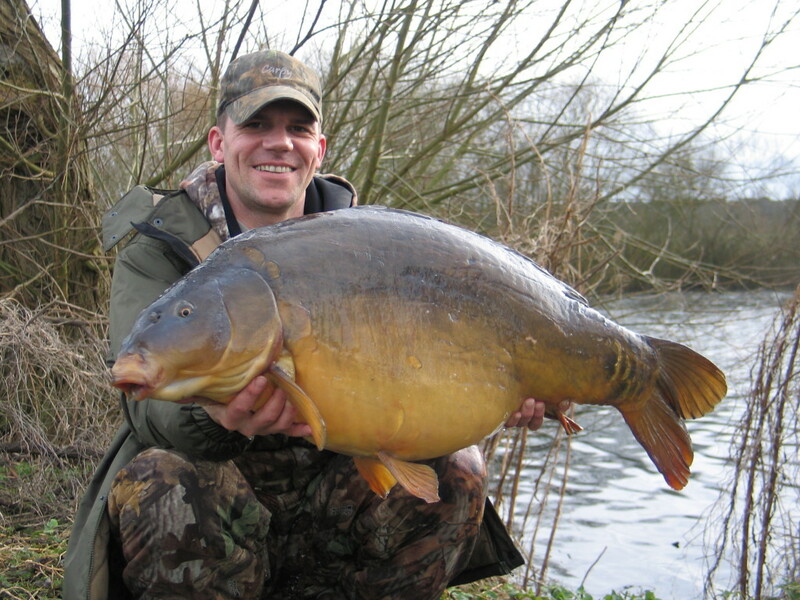 To illustrate this point, 123 carp were caught in the lake by the syndicate during the 2016-17 season, with an overall average weight in excess of 31lbs. 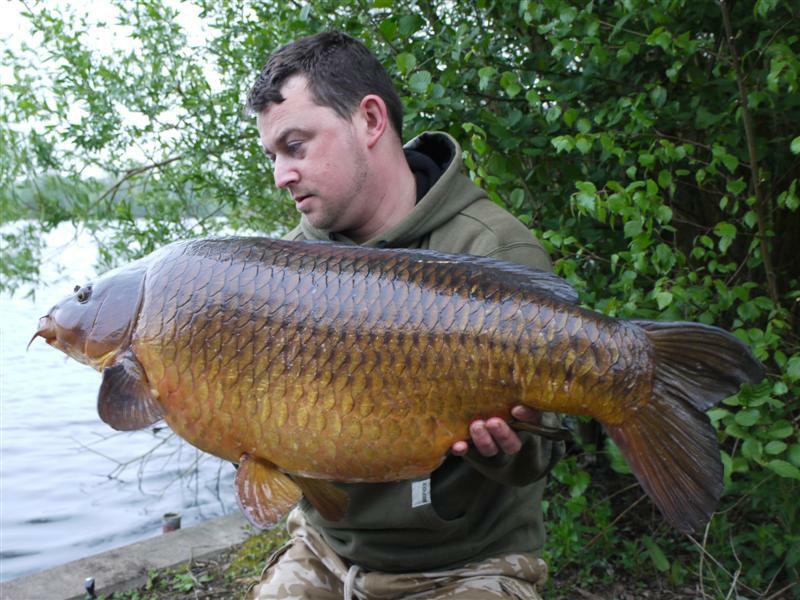 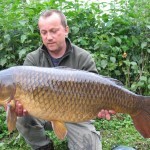 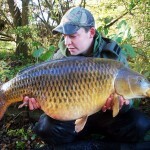 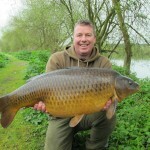 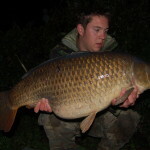 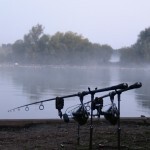 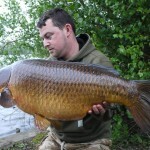 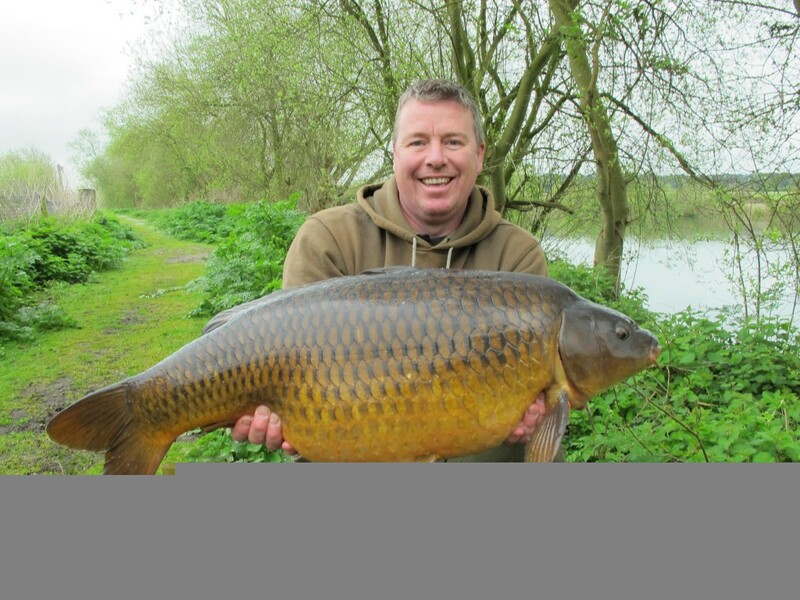 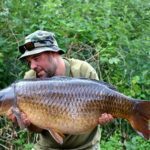 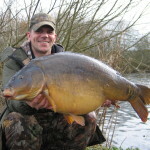 There are approximately forty 30lb plus fish currently present in the lake, many of which regularly weigh over 35lb and there are also a growing number of fish over 40lbs. 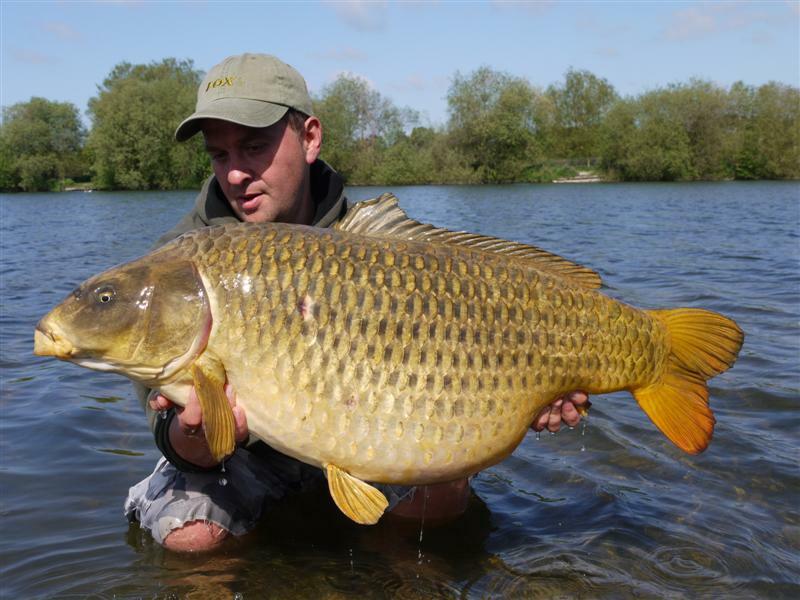 Two different fish in the lake were caught weighing over 50lbs in the lake during the 2017-18 season, the largest being a ghost carp which was recorded at 51lbs 8oz, making it one of the biggest ghosties in the country. 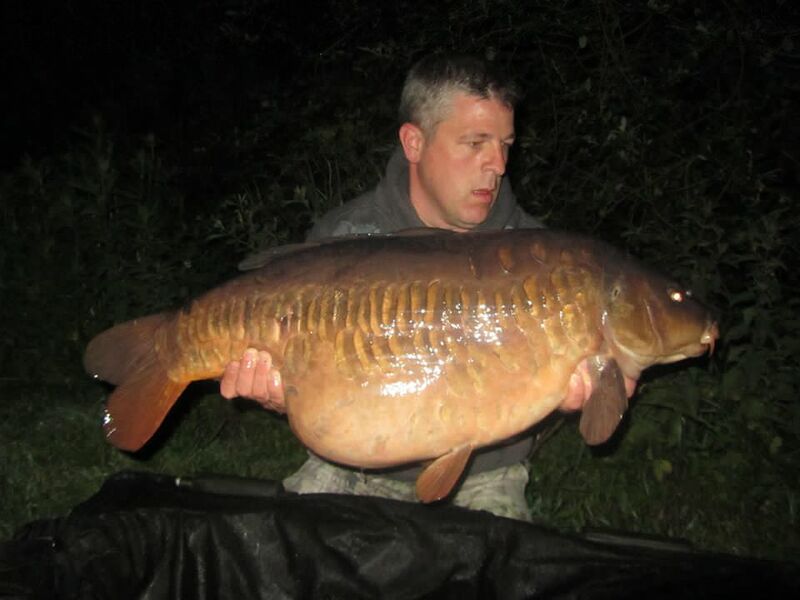 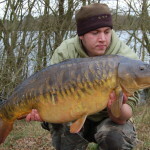 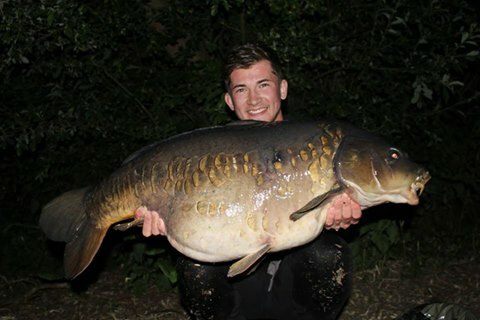 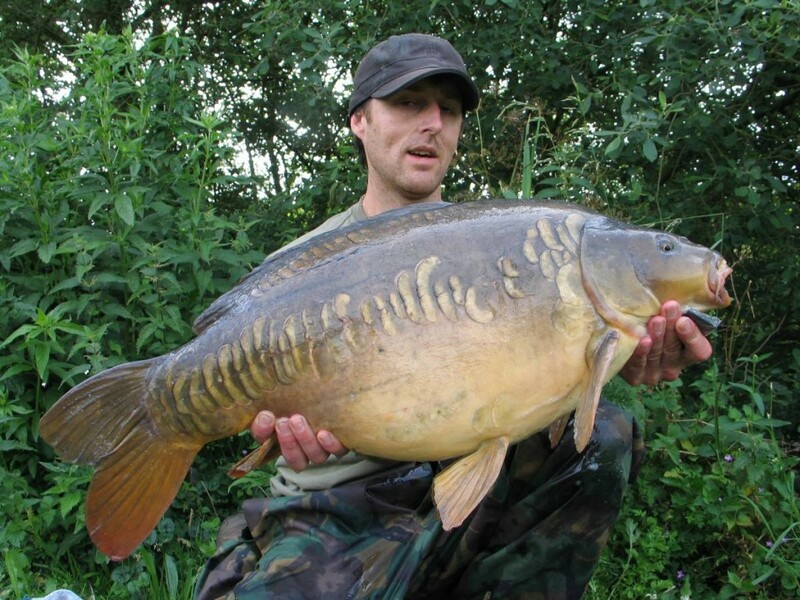 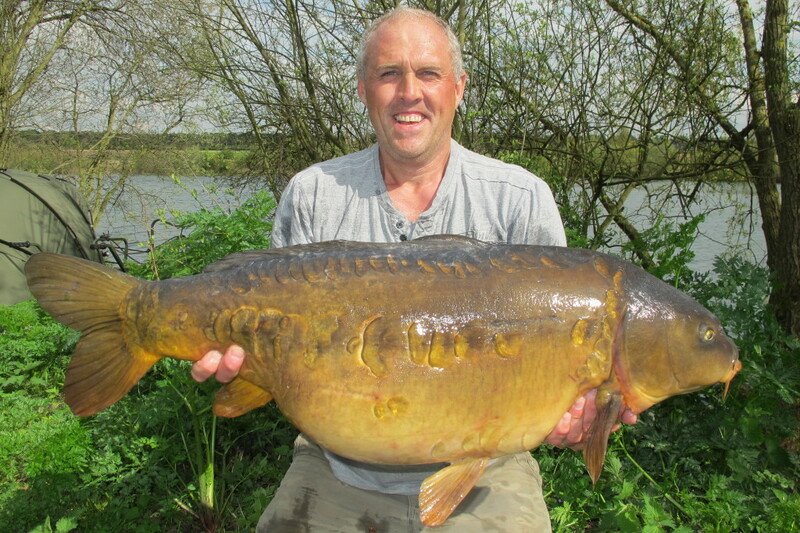 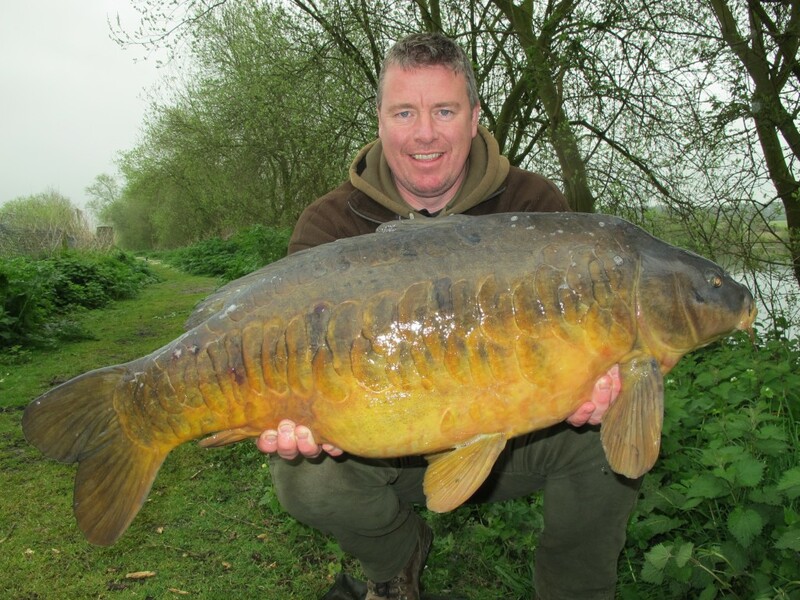 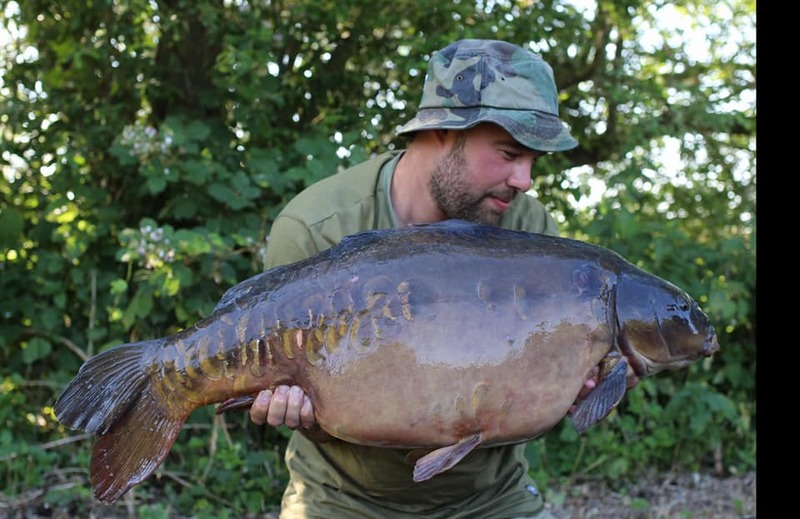 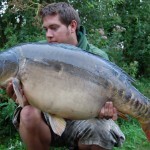 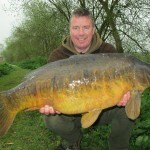 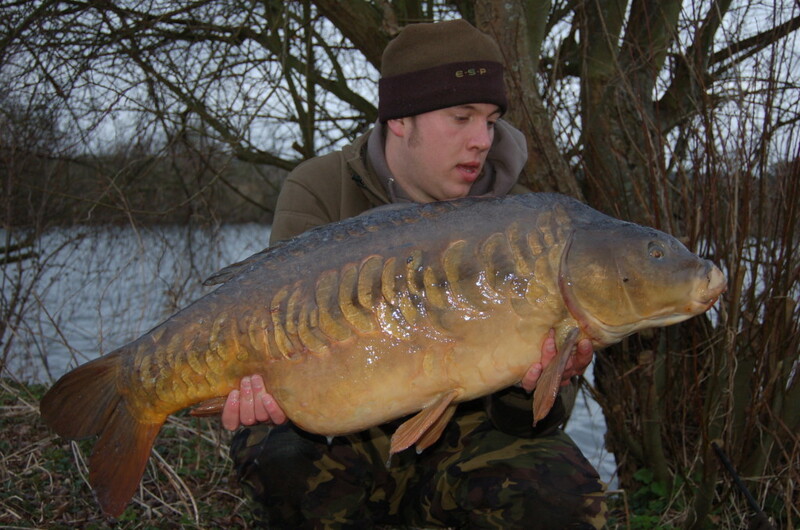 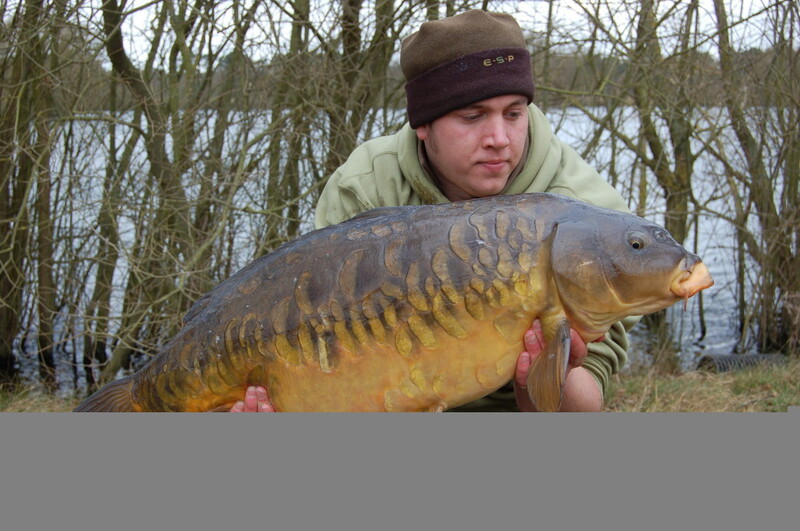 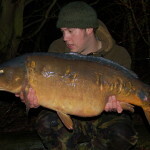 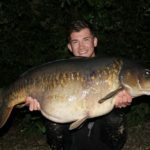 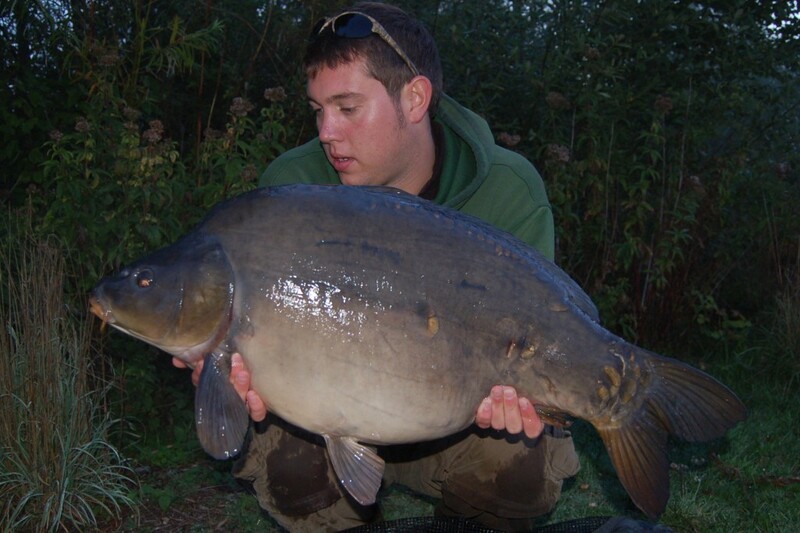 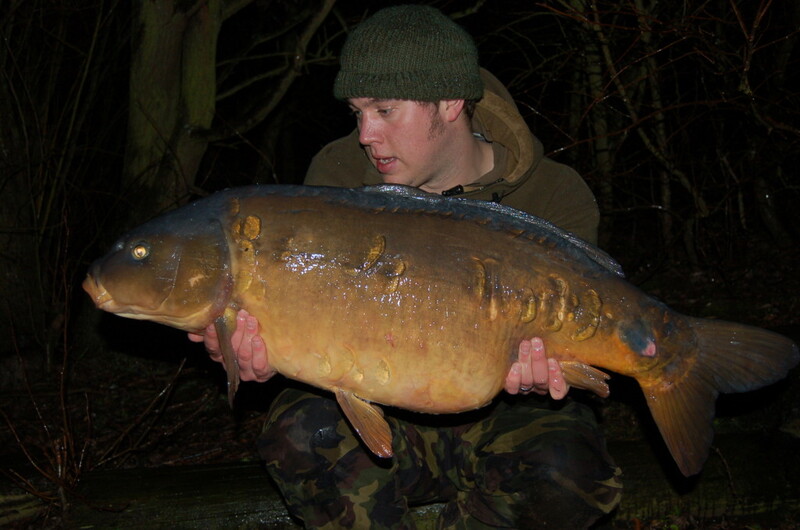 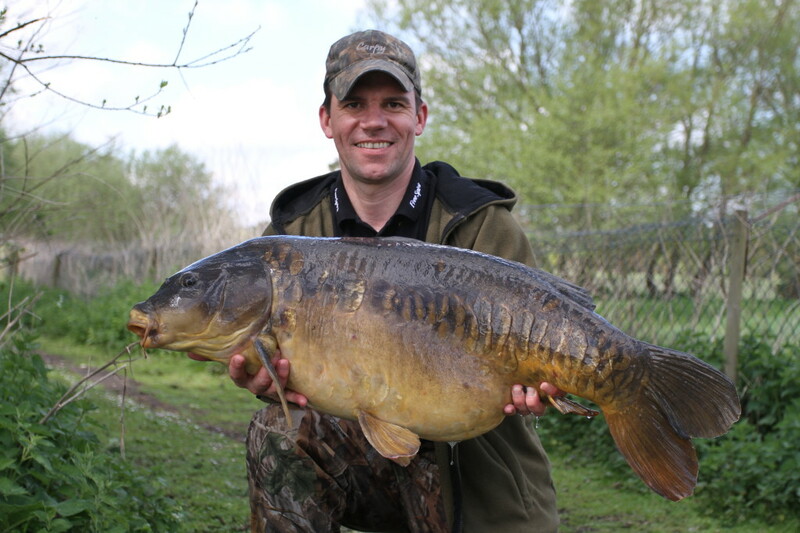 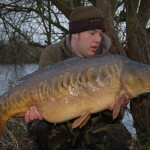 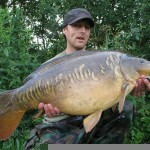 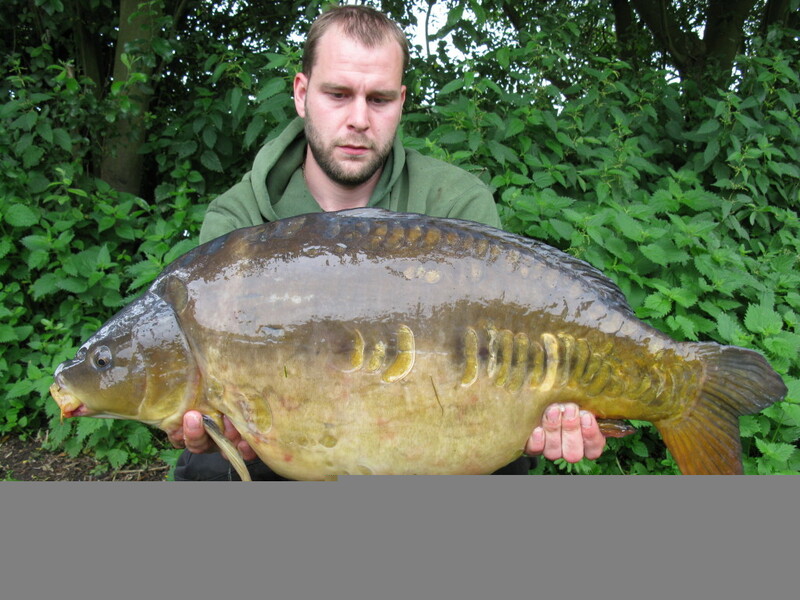 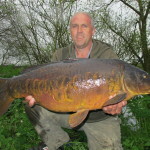 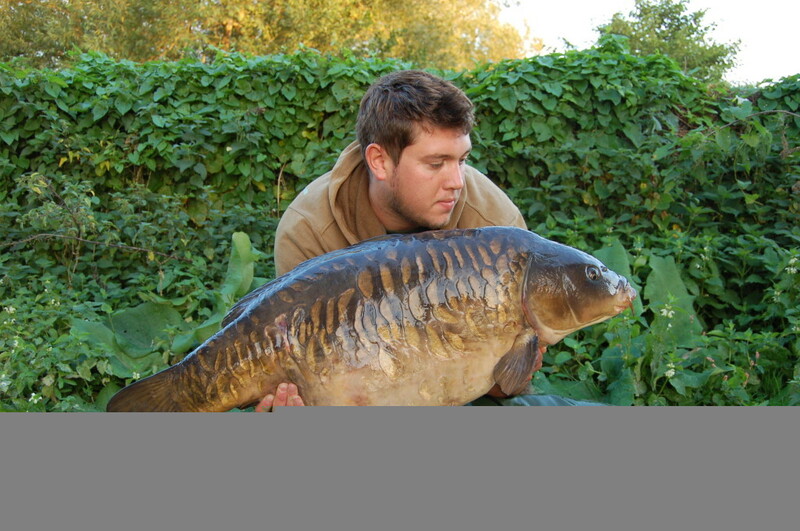 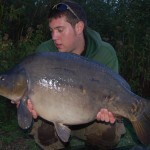 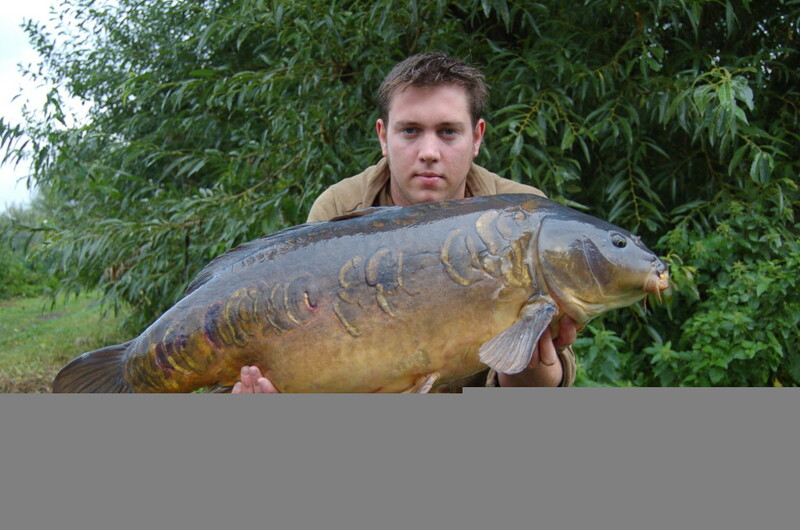 The lake is justifiably noted for the quality and quantity of the big, heavily scaled, linear Mirrors which are present, many of which weigh well over 30lb, with many of them also exceeding 35lbs. 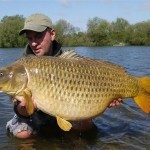 These fish truly are amazing to see. 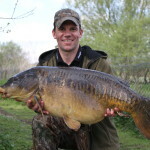 With a back up stock of healthy, young stock fish currently growing through the 20-30lbs bracket, as a part of our ongoing restocking policy of introducing a small number of carefully chosen top quality carp each year, this lake clearly has a very bright future. 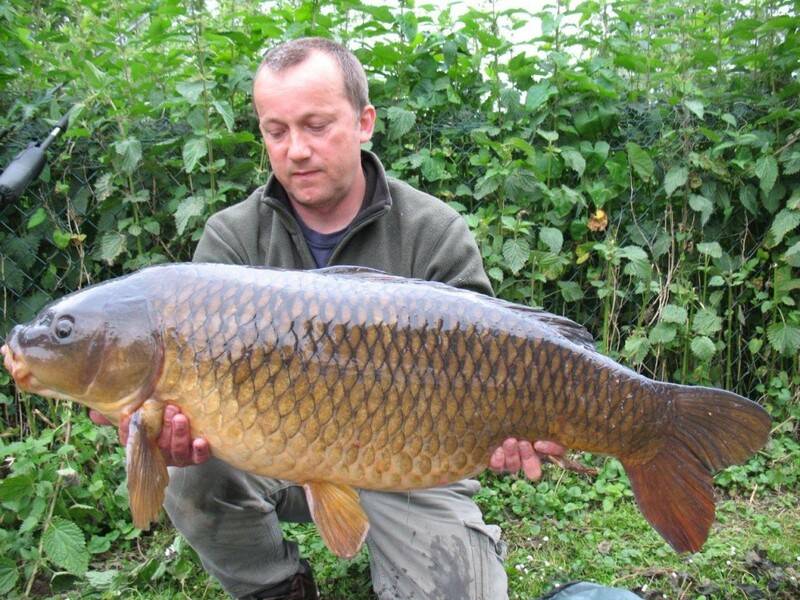 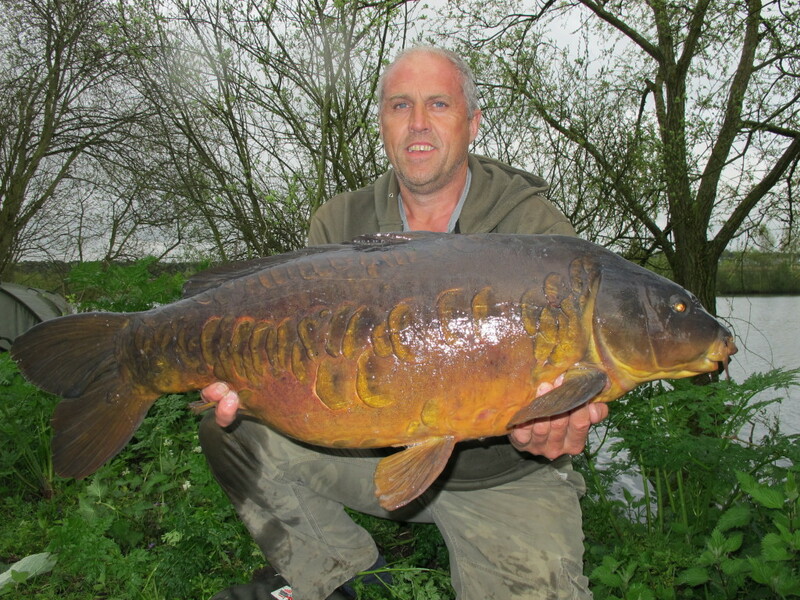 The average weight of the carp in the lake has increased each year for the last five consecutive years so it clearly has yet to peak as well. 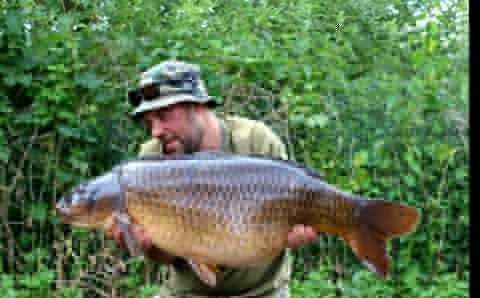 As already alluded to above, this water is only suitable for experienced big carp anglers, therefore a suitable vetting process is in place for would be applicants. 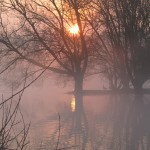 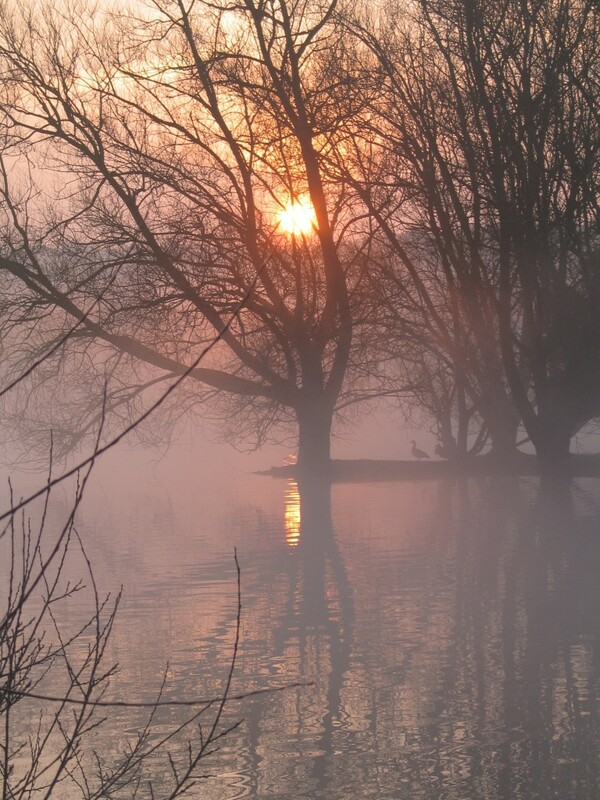 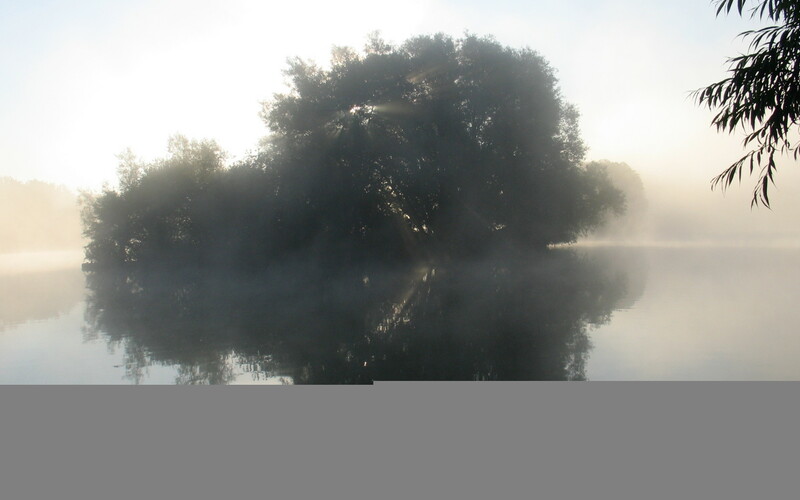 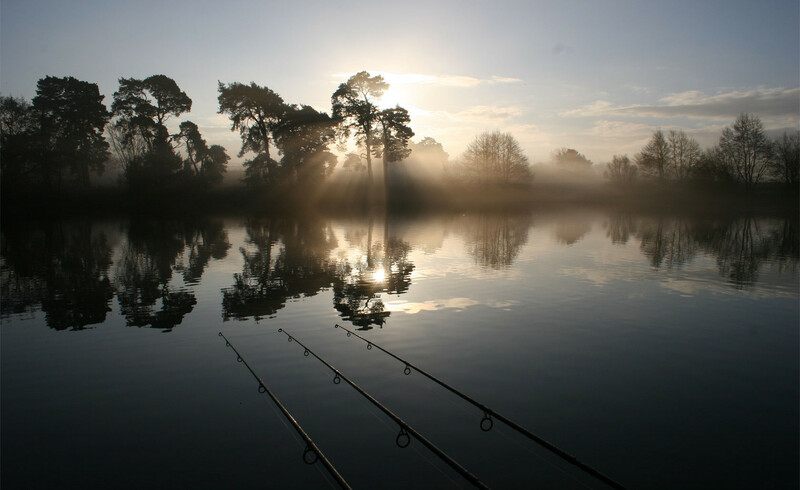 If you are interested in fishing this water, you will need to join the Nunnery Night Syndicate or our West Stow syndicate for at least one season before you can apply. 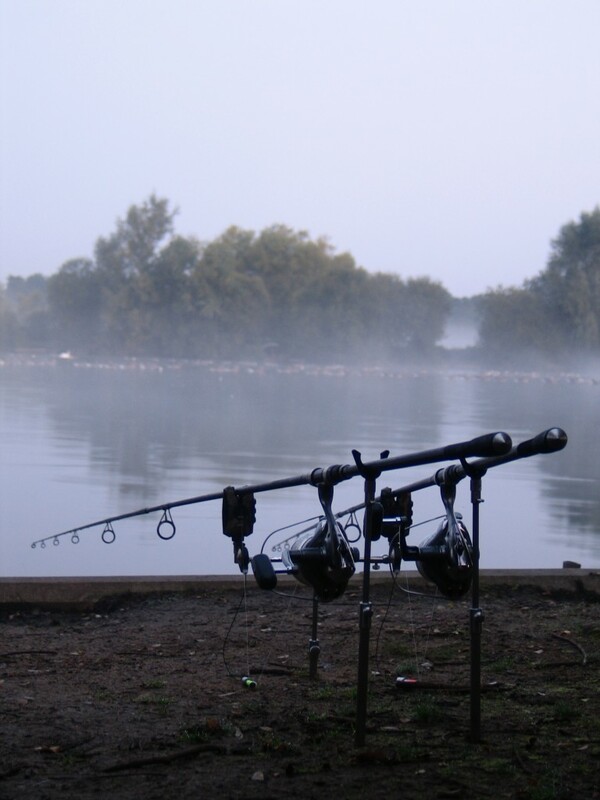 Please be aware however that in addition to the above condition, we will still only consider anglers who have a proven track record, and wide experience of catching large carp elsewhere, when selecting new members for D Lake. 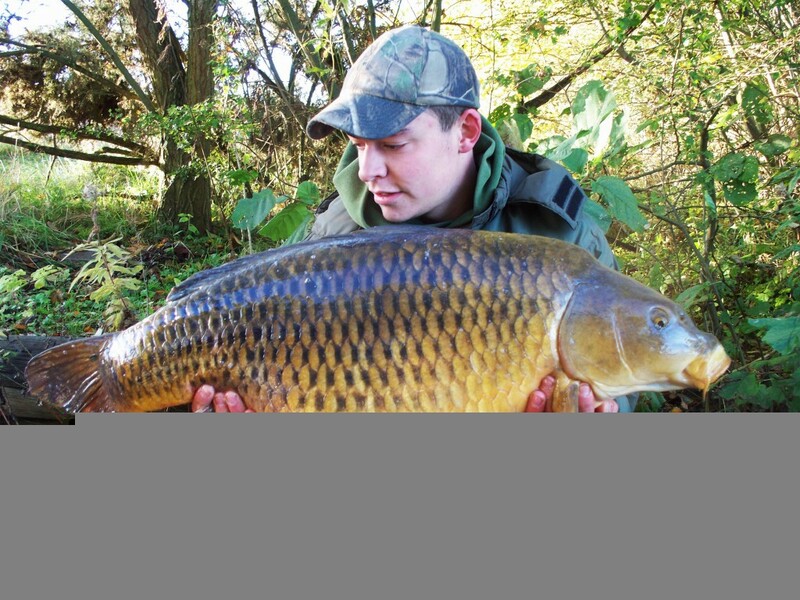 Vacancies do occur in the D Lake syndicate every year however, so each year we are able to introduce some new anglers onto the lake.